Does anyone have an image of the Revson air dam? Tom, I believe this is one. I took that picture. 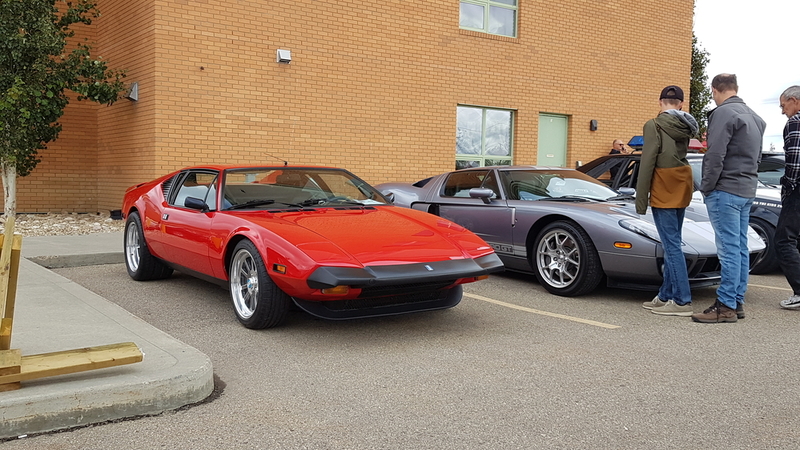 That car was indeed from the dealership affiliated with Peter Revson and the owner of that Pantera is quite proud of the Revson parts installed on it. I cannot say with absolute certainty, but I am pretty sure that it is made of fiberglass. I'm surprised it was discontinued, in my opinion look much better than many others, and likely functions better as well. Tom, I agree on the looks. I've even considering making a copy of mine for my son's car if he can't find one somewhere. Anybody got one they would part with? 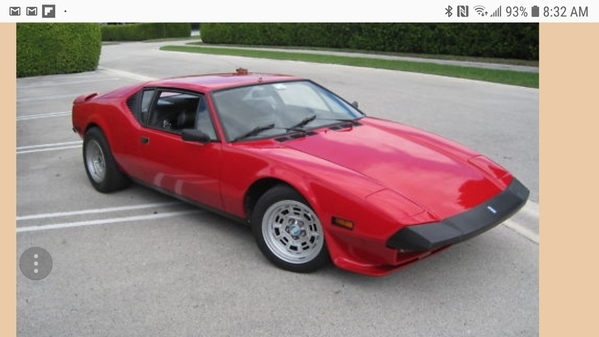 That isn't the original Revson Pantera spoiler. His hung down low in the front and had brake ducts. I don't have a picture handy but I can tell you that it shows on one of the early magazine road tests that they had Revson driving in. 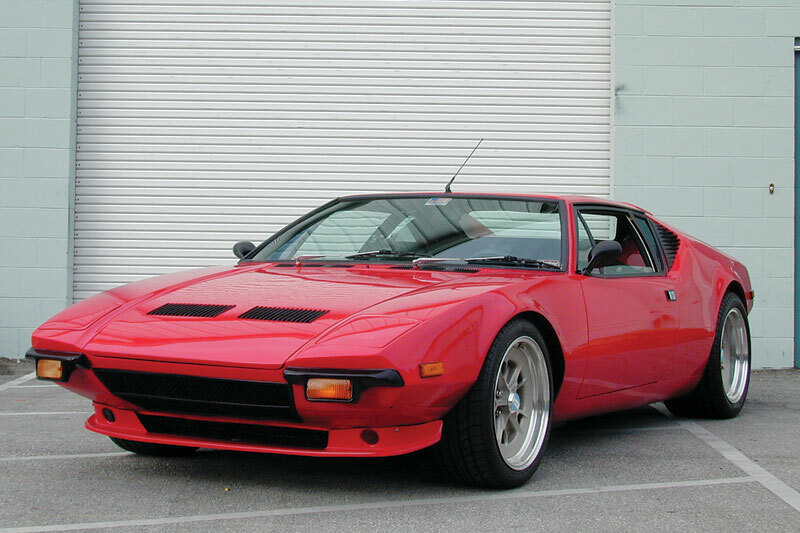 I want to say that it's Road and Track and it's a '71Pantera. It had the reputation of being too low to use on a street car. It really hangs down in the weeds. Experts, correct me if I am wrong. This one is the GTS spoiler. Is the search feature gone? This has been discussed here before. 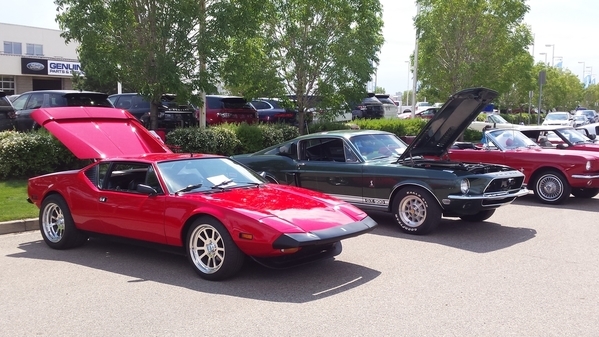 There are two very similar, and great looking, red Panteras pictured above. Both were photographed at about the same frontal angle, but one was photographed at a slightly lower eye level, making it look more dominant and muscular looking. Just an observation. 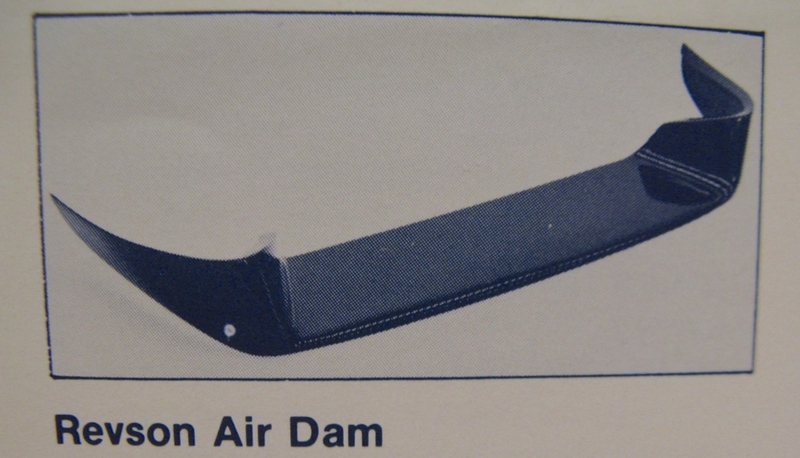 Thank you for the Revson air dam exploration, but I'm not sure if there is a consensus which one is an actual Revson product, or is there? Don't know if this helps, but its a pic from an old catalog. FWIW Chuck Engle's picture posted by Tim S is the correct picture of a Revson spoilerr. John Buckman's picture is accurate as well. No brake ducts. Chuck (Rocky) the flat spoiler is not a Revson spoiler. 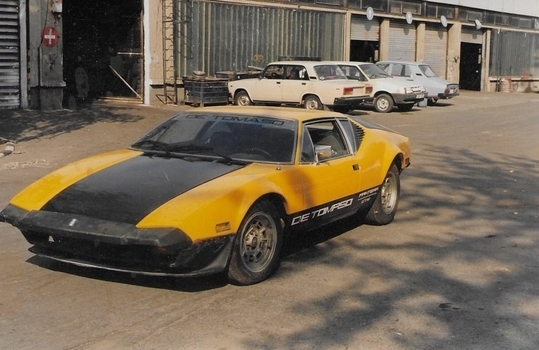 But it copies De Tomaso's earliest spoiler (mid to late 1970s), the one which preceded the better known GTS spoiler (in your second picture) which was a 1980s thing. In a catalog of "unobtrusive narrow body spoilers" I think one should also include the Amerisport spoiler, such as the one mounted on 6018. I've been thinking about having this one modified so there's no "cut-out" for the grill in the middle, just a flat spoiler all the way across. Are you reading this Kirk? The search function is available and works better than ever. OK. Found the search function button. I remember the Revson spoiler as having bigger "out riggers" on the sides. Some of these pics because of the angle of the camera, don't show them hiding in the shadows. I'm wondering now if there was an early version that was revised for better clearances? I think the only thing that really is practical on a Pantera is a completely flexable one. Especially on a lowered car. 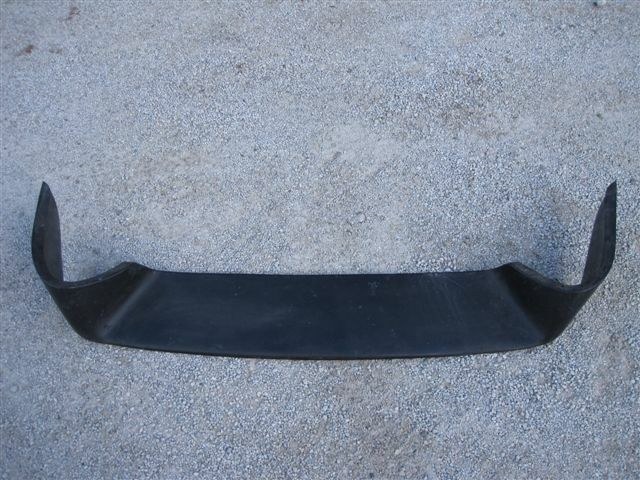 When I first got my car, the steel sheet metal under the radiator support was torn off in a couple of spots from scraping on low curbs. 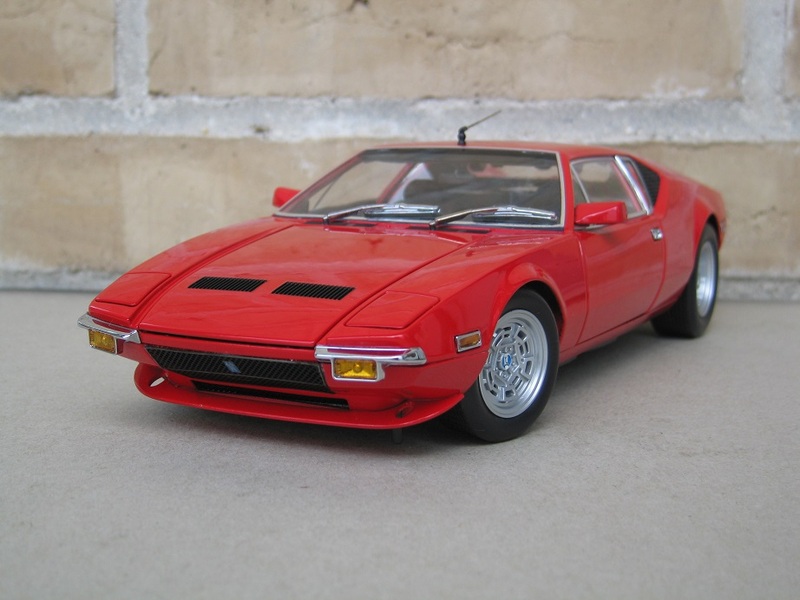 State codes have required the entrance "ramps" (across the sidewalks) to be revised to a more gradual entrance angle but we still have high Mangusta eating cast iron manhole covers sticking up here and there. I long ago learned to look down the pavement surfaces of roads for protrusions but my wife still drives over things like curbs and Police motorcycles and when she hears the crunch says what was that? It's the assassins that hide in the catch basin that are really issues now though. How they constructed those escape tunnels unnoticed needs to be reviewed by the Trump Administration. Probably a leftist conspiracy, right Donald? The wall will stop that. It shows how observant I am regarding photographs. 1/6th scale, that's a nice model. Mine is a fairly flexible GTS version. Definitely more subtle than some. Outside with my lower grille painted black, and my black L bumper it's hard to see unless focused on it. Thanks, all for the clarifications. I will admit I only noticed the first picture I posted was a model after I posted it, and saw how huge those bricks are in the background! I find aspects of the Revson and the Gran Turismo similar. Was the Gran Turismo based off if it? 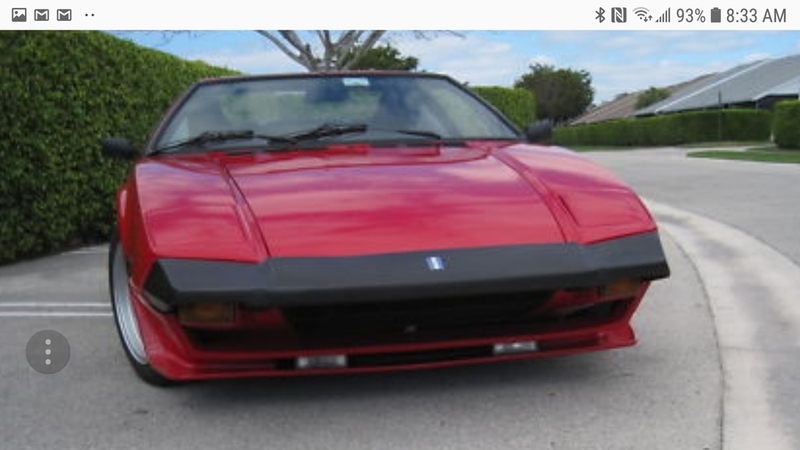 Here is a better pic of Gran Turismo that I think looks like a Revson with an added lip. 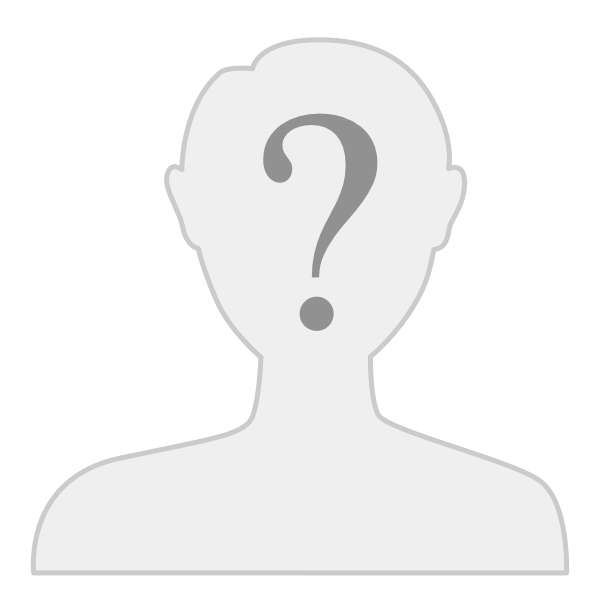 Once the photos are uploaded two quick and simple extra steps are required. The first is to click on the link under the attached photo which reads "insert into post body" ... which gives you 3 choices for the photo’s size and then inserts (embeds) the picture where ever the cursor is flashing. You seem to have this part down. Congrats! The second step is to check the box which reads "collapse attachment box" in the left hand column, under "settings". This removes unnecessary clutter from the bottom of the posts. You hadn't taken that second step so I’ve performed a bit of editing to your posts. FWIW, a few vendors have Revson molds and even NOS spoilers for sale. Call around. 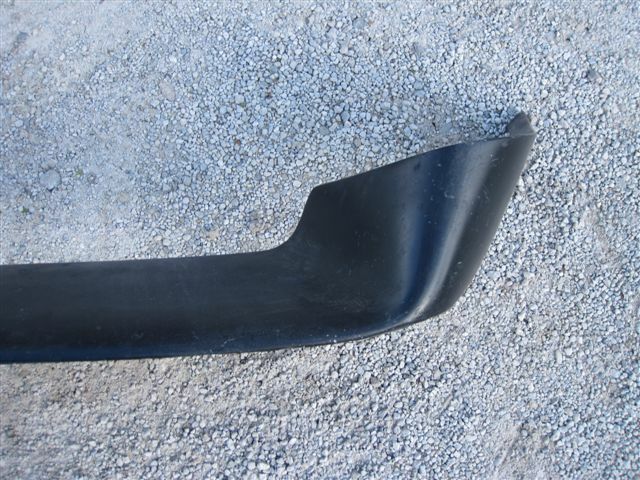 They are all fiberglas and do NOT have side pieces that flow into enhanced front fender flares. I have seen two versions sold as Revsons- the earlier is as above on some but not all the above posts. The presumably later version (that Peter Revson himself might not ever have seen!) looks like the early one but with a short splitter molded into the bottom for possibly better aero performance. I have an early one and like it because I find it attractive and it works well for its purpose but does not scrape the ground in turns, even on our modestly lowered '72. I have a mold to make the "Gran Turismo" spoiler if someone is interested. OMG guys, did not see this post until now. I just posted a note about the Revson spoiler in the parts forum. I am building a mold soon. I also am building molds for the old Gran Turismo, GTS factory and 2 new versions of my own design. Is the mold good? I'll build one and see if it fits OK. 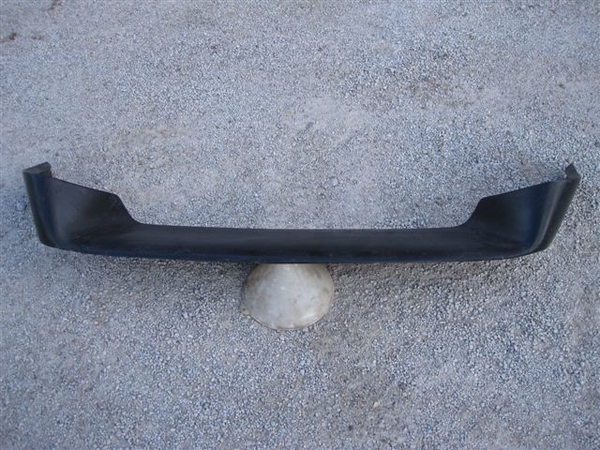 The GTS spoiler will look the same but WILL FIT the car and have hidden fasteners. The GTS spoilers have been basterdized so much they are not even in the ball park of fitting,at least that is what I hear. The one I have is at least in the county of the ball park so it's workable---won't have to build from scratch. You've got my attention. 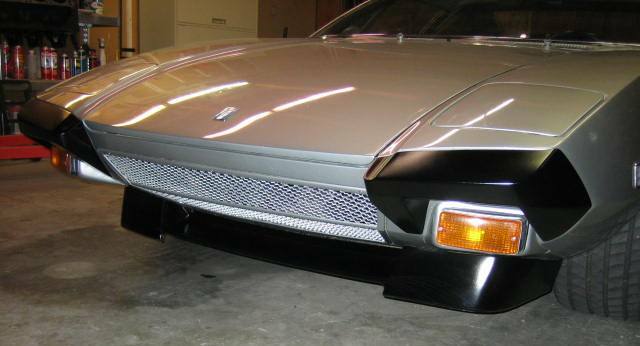 My Pantera is currently equipped with one of your spoilers. I would possibly be interested in a new version … with 2 changes. (1) Fill in the grill opening , and the notch under the grill opening, so it is flat across the front. (2) Add more resin and glass, especially along the bottom, reinforce it, make it 3X as thick, so it will take hard scrapes, bumps into curbs, etc. without damage. 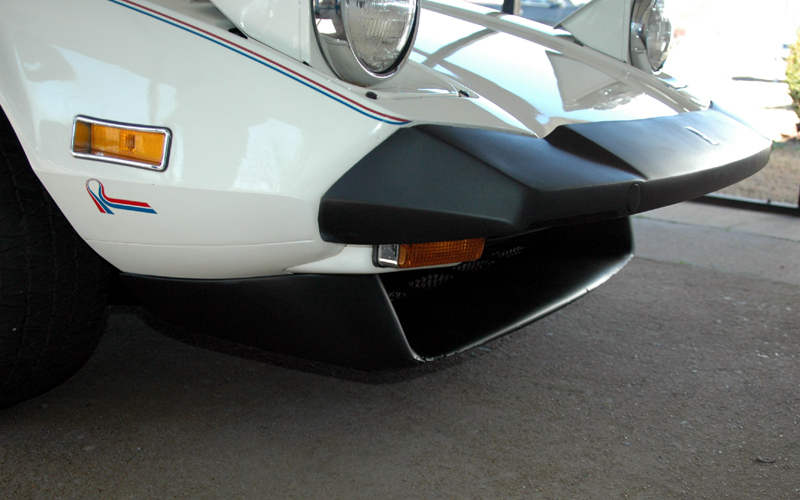 Besides eliminating nose lift, it would make a nice place to mount the front license plate. While these are not Revson air dams, I thought this worth posting up. To order, you may be able to reach June at her old address. She is pretty hot in the PI Newsletters. Rocky, I think the front air dam shown in the second photo ad is the Revson Air Dam. That's an interesting number of ways to add an air dam. Personally I'm glad the owners are having fun with their cars regardless of how it accomplished. Once the car becomes merely a garage/trailer queen the fun mostly over. Drive them, show them, the days of our beautiful overpowered gasoline burners are quickly diminishing. Has anybody thought of converting to e-power?